The complete collection of Russ Ackoff’s F/laws. Russ Ackoff’s witty and subversive "F/laws of Management" have become well known around the world and are regularly recommended as an introduction to his thinking. They cover areas like leadership, teams, hierarchy, creativity and innovation, motivation and management. Each F/law comes with a page (or so) of Russ Ackoff’s own explanation – often wandering into delightfully unexpected areas. 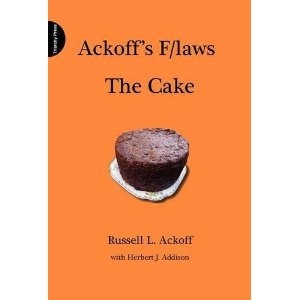 This is the only full collection of all Ackoff’s F/laws – which were first published in two separate books (Management f-Laws and Systems Thinking for Curious Managers.) This hardback collection reverts to Ackoff’s original typescript without any commentary or other introduction and features his original cartoons. Managers, students of business and management… anyone who works in an organisation, anywhere. Russell Ackoff, who died in 2009, was one of the world's leading business thinkers and one of the founding fathers of Systems Thinking.